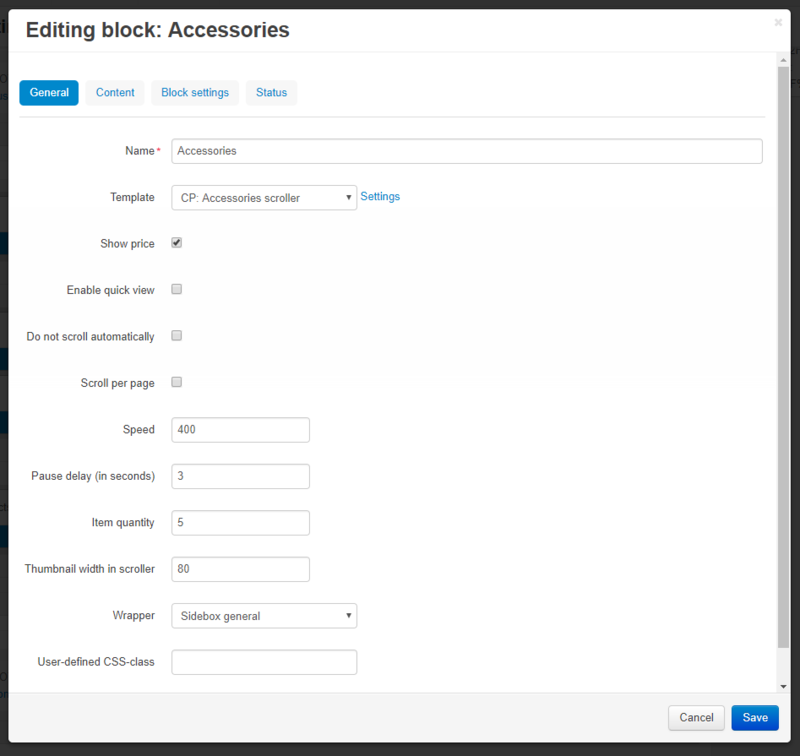 With Product Accessories add-on you will be able to show accessories for a product right at its page by creating new block, based on default "Products" block with the add-on functionality. 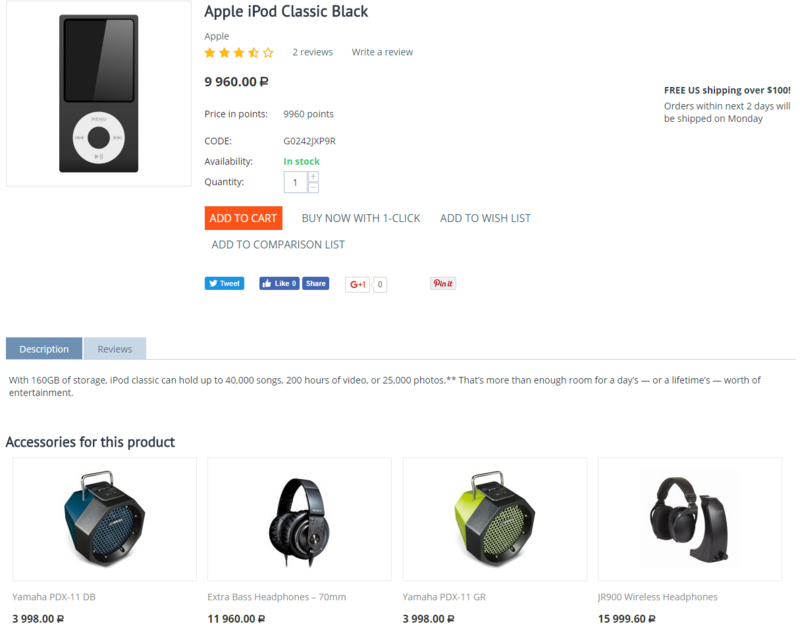 Set manually, what products are accessories for items in your store, or select whole categories at once and switch between them from product's page. 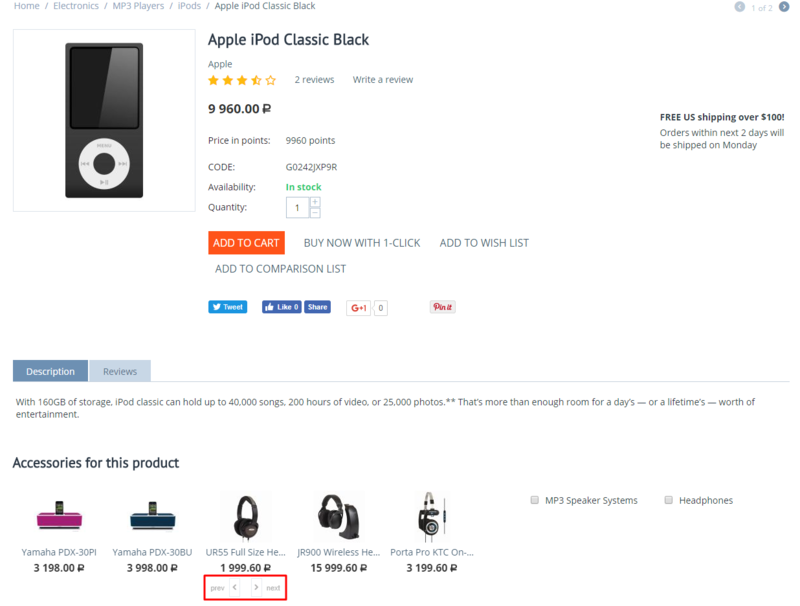 Configure the block as you like by specifying previews size, showing price, adding autoscrolling, buttons for quick view and adding to cart. Fully configurable block with accessories. 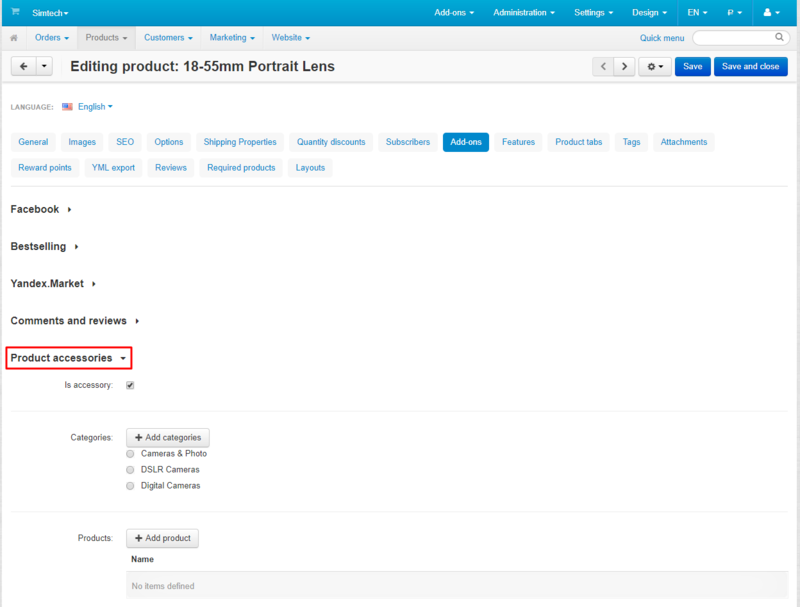 Filtering accessories at product's page by categories. 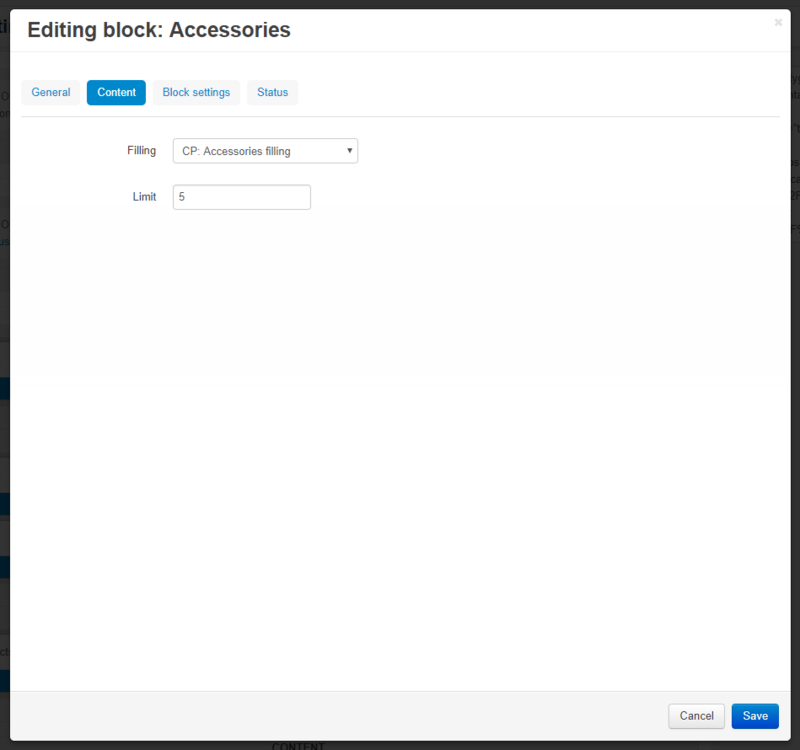 Ability to set categories and single products, for which an item is accessory. Adding to cart from accessories block.